Episode No. 80 of The Modern Art Notes Podcast features curator Marianne Stockebrand. 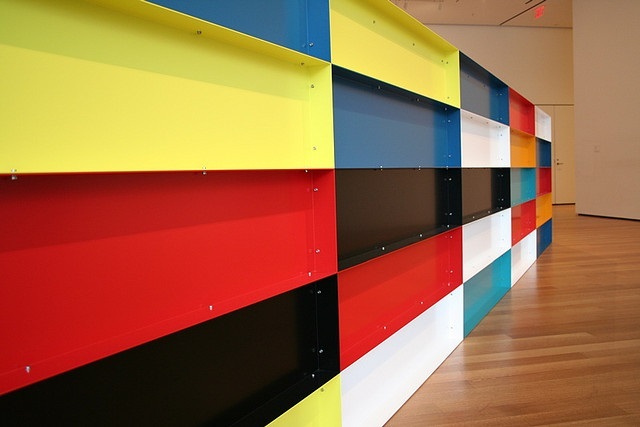 Stockebrand is the curator of “Donald Judd: The Multicolored Works” and the former director of the Chinati Foundation. The program was taped before a live audience at the Pulitzer Foundation for the Arts, where “The Multicolored Works” is on view through January 4. 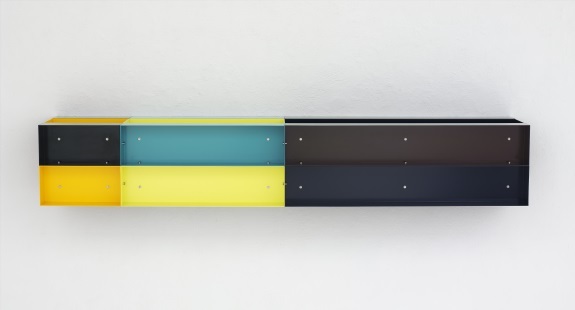 This is the first museum exhibition to focus on Judd’s use of color, and more specifically Judd’s use of color in the 1980s, when he discovered a process that enabled a new kind of sculpture. 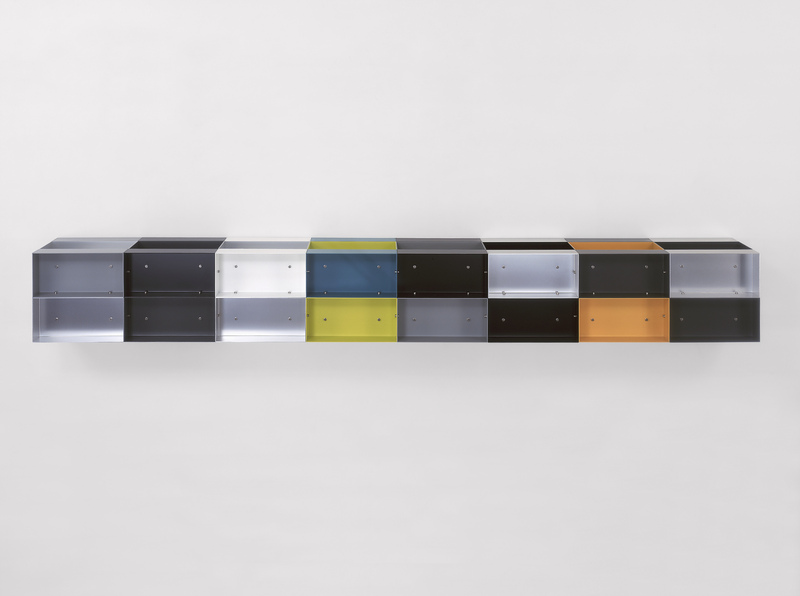 “The Multicolored Works” includes 23 Judd sculptures as well as works on paper and collages from the collection of the Judd Foundation that reveal Judd’s creative process. Air date: May 16, 2013. 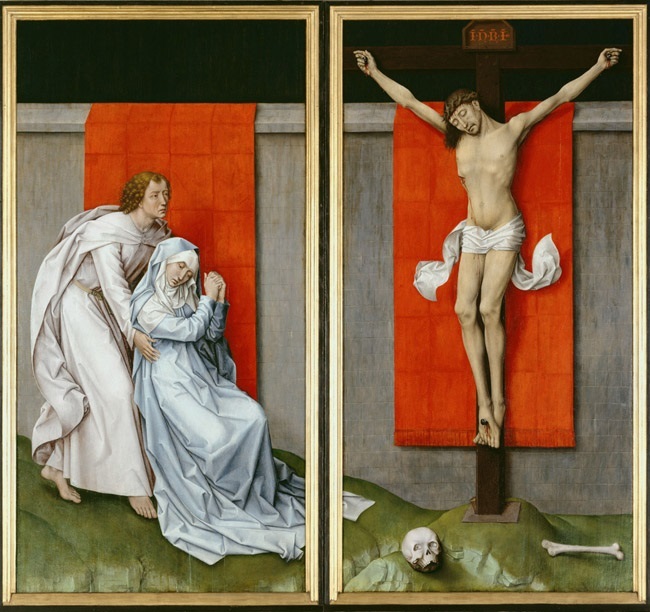 Roger van der Weyden, The Crucifixion, with the Virgin and Saint John the Evangelist Mourning, ca. 1460. Collection of the Philadelphia Museum of Art. Donald Judd, Untitled (detail), 1989. Collection of the Museum of Modern Art, New York. 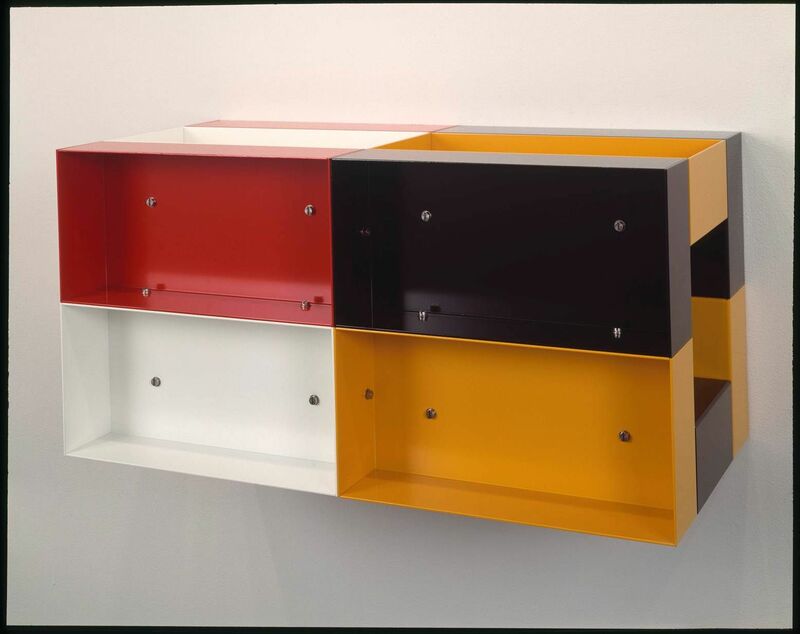 Donald Judd, Untitled, 1985. Collection of the Tate, London.